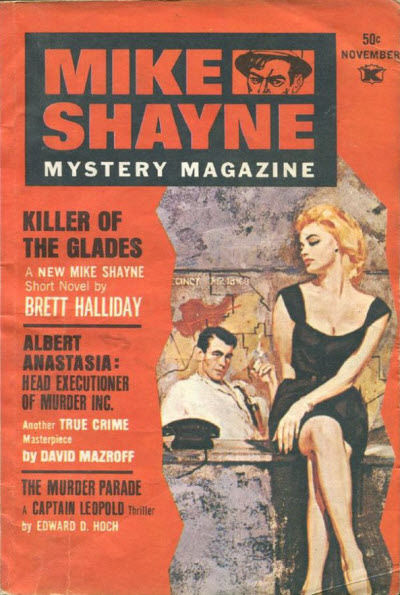 101 · Mace Murders · Robert Edmond Alter · ss; given as The Mace Murders in the Table of Contents. 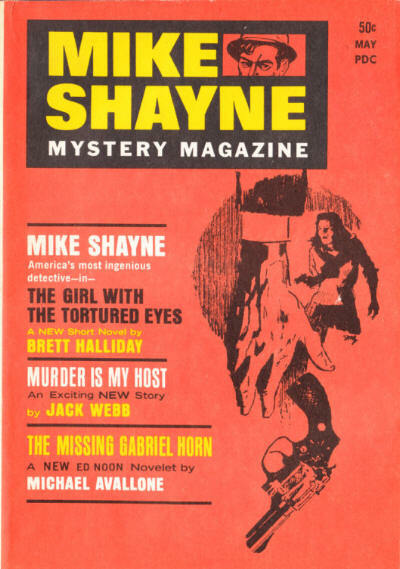 2 · The Girl with the Tortured Eyes [Mike Shayne] · Brett Halliday (ghost written by Dennis Lynds) · na; given as The Girl with the Frightened Eyes in the Table of Contents. 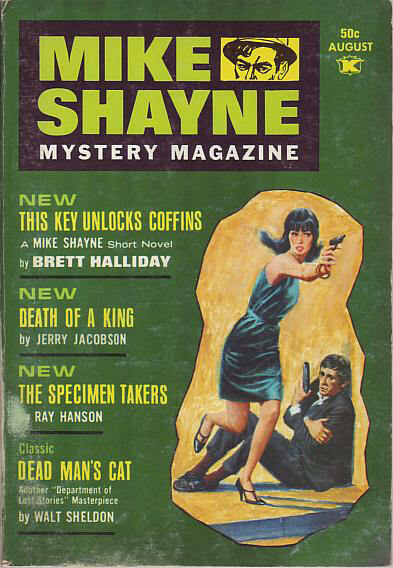 60 · A Matter of Living · Jeffrey M. Wallmann · ss; given as by Jeffrey M. Wallman. 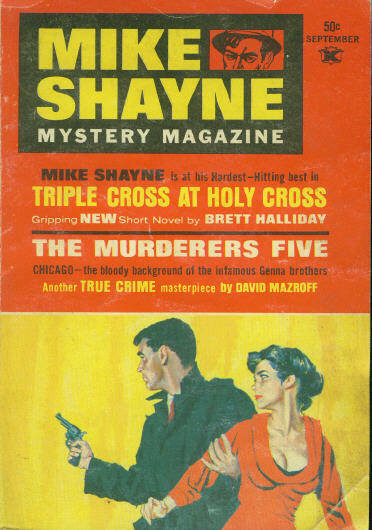 Given as v25 #2 in the Table of Contents. 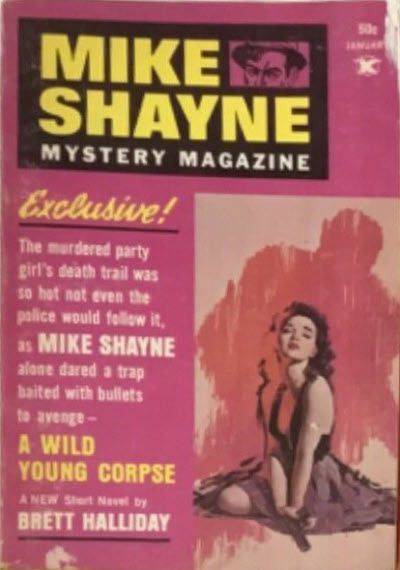 Details supplied by Peter Youngman. 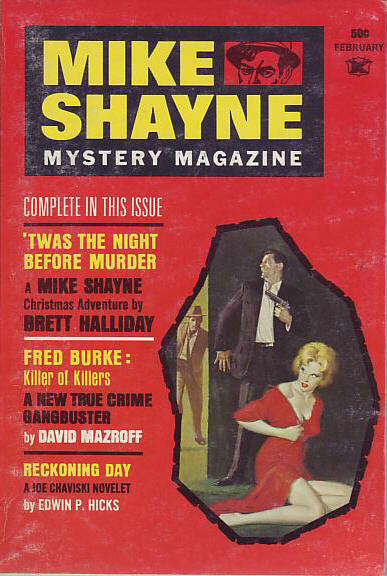 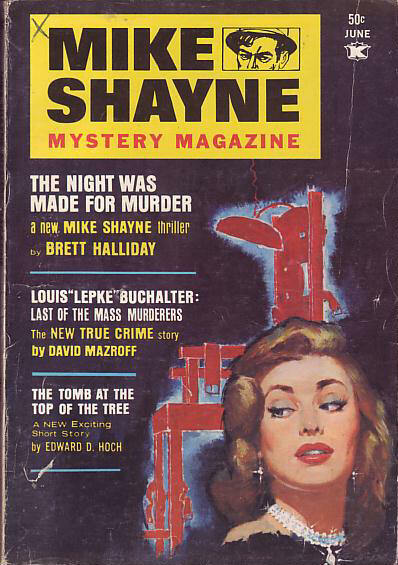 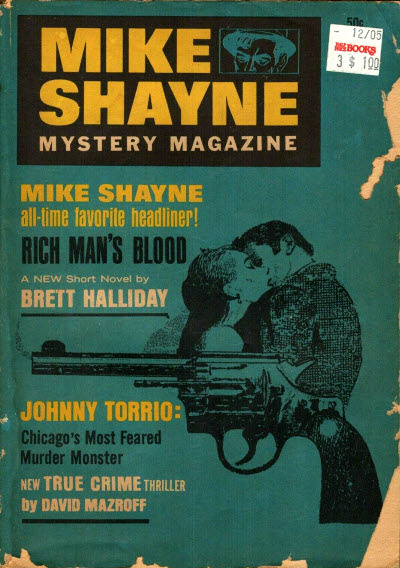 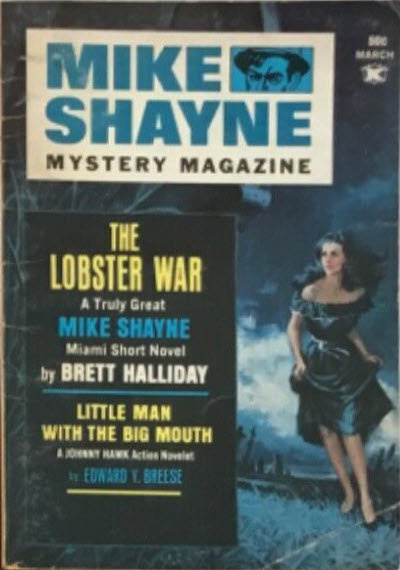 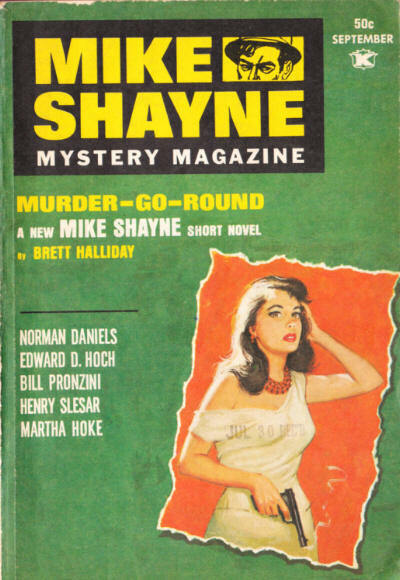 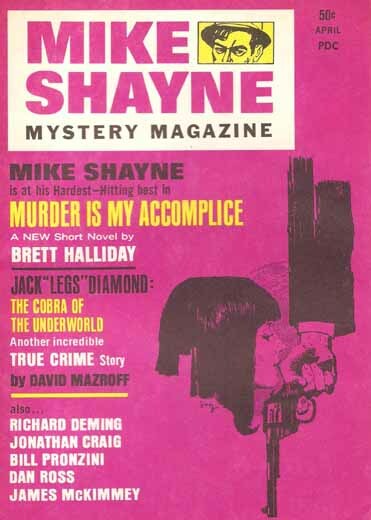 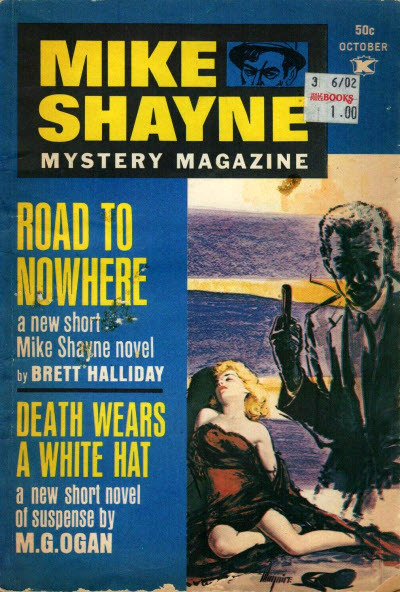 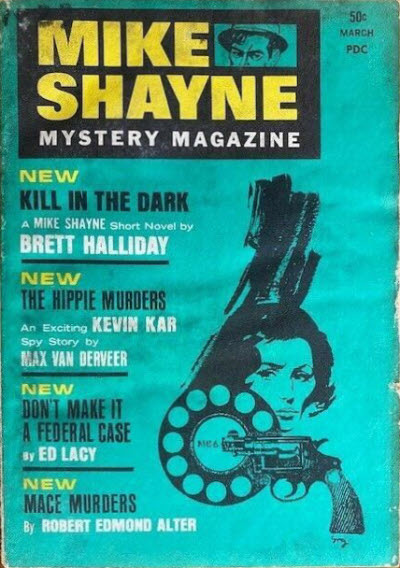 2 · Murder-Go-Round [Mike Shayne] · Brett Halliday (ghost written by Dennis Lynds) · nv; not the same as the story of the same name in the March 1979 issue. 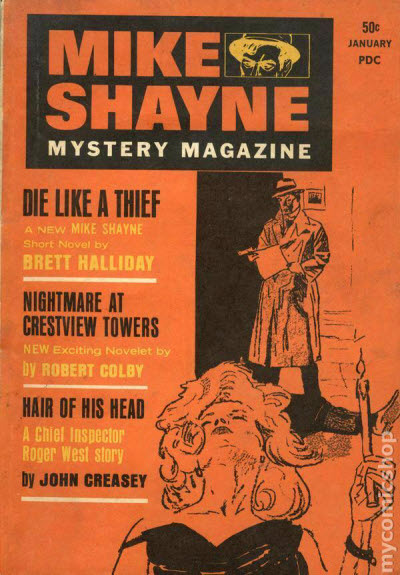 124 · The Perfect Neighbor · Bill Wy Wilson · ss; given as The Perfect Neighborhood in the Table of Contents. 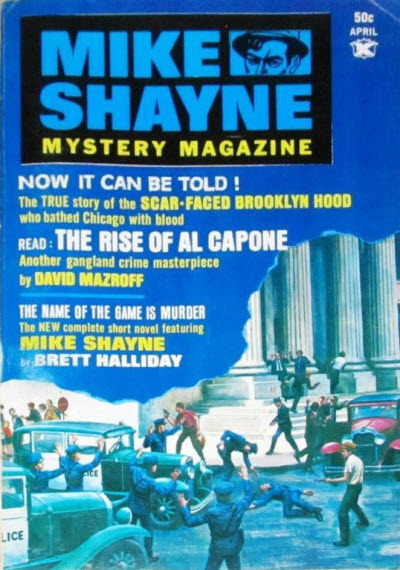 96 · This Was Al Capone: The Mastermind of Crime · David Mazroff · ar; given as The Rise of Al Capone in the Table of Contents. 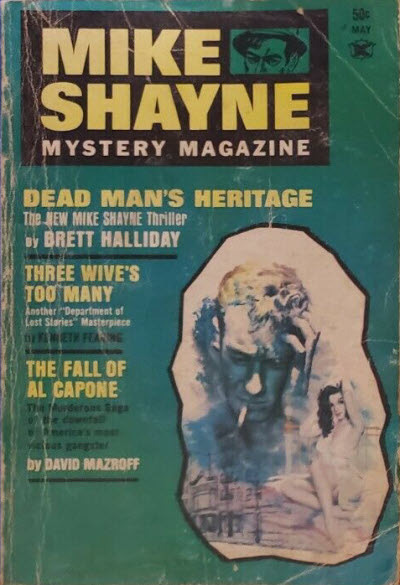 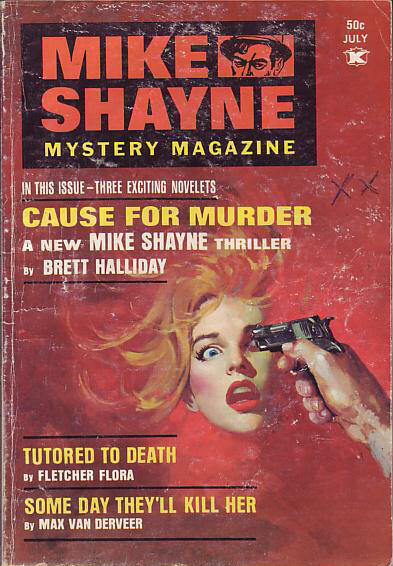 76 · Three Wives Too Many · Kenneth Fearing · nv Michael Shayne Mystery Magazine Sep 1956; given as Three Wives Too Many on the cover. 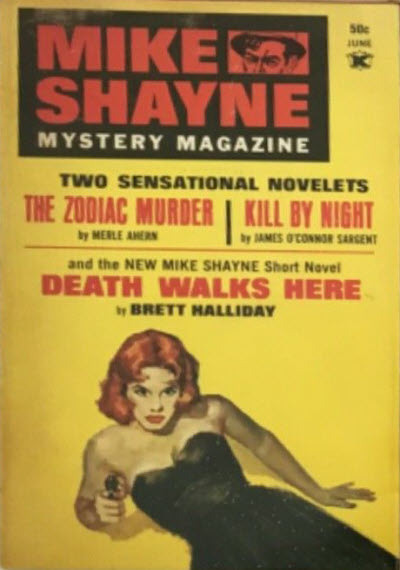 74 · They Kill by Night · James OConnor Sargent · nv; given as Kill by Night on the cover. 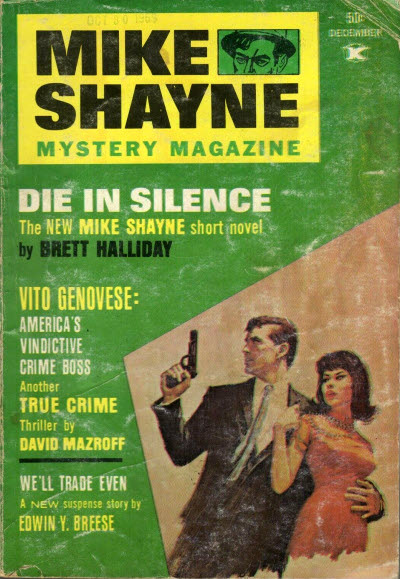 124 · Every Litter Bit Hurts · Michael Avallone · ss With Malice Toward All, ed. 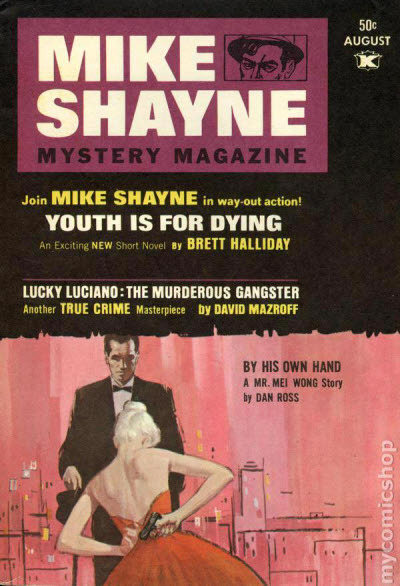 Robert L. Fish, Putnam 1968; given as Every Litter Bit Helps in the Table of Contents. 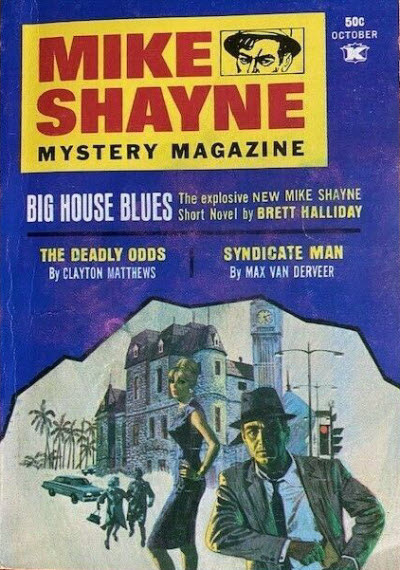 46 · Syndicate Man · Max Van Derveer · ss; given as The Syndicate Man in the Table of Contents. 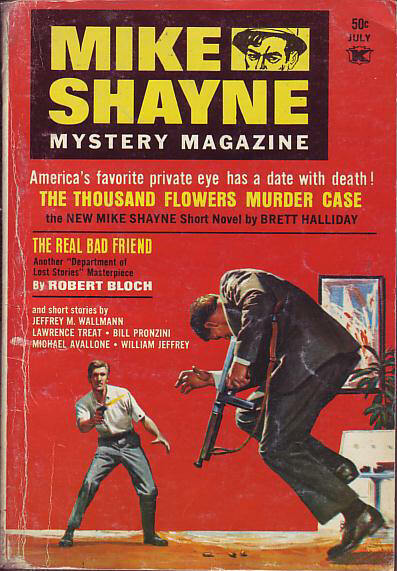 102 · A Simple Respectful Gesture · Barry N. Malzberg · ss; given as by Barry J. Malzberg.